We held our annual board meeting this month. Prominent in our discussion was the project work for the past year related to the National Endowment for the Humanities grant on War and Trauma at Governor’s State University. Below, you will find one of the public outcomes of the grant, a televised town hall meeting between students and veterans on the topic of combat trauma. Another milestone this year was attendance at the 82nd Airborne reunion in Fort Bragg for the 508 Parachute Infantry Regiment. For the first time, WWII, Korea, Vietnam, and Panama veterans mingled with our current paratroopers and shared their experiences. 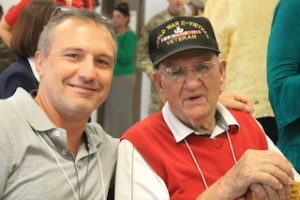 Three additional oral history interviews of veterans were obtained at the reunion as well as the making of some new friends. Finally, future goals for the upcoming year were set. First and foremost was the need to obtain more help, specifically from students and volunteers to assist with the editing of interviews. Additional opportunities exist for student interns to help with marketing, social media, and website updates. 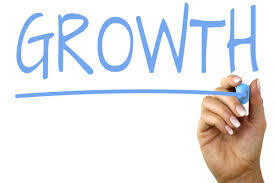 Other ideas were proposed for some formal fundraising initiatives, all of which are needed for the long-term growth of the project. Those interested in helping are encouraged to contact us. The New Year is often a time to reflect on the year that has passed. 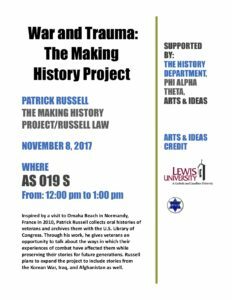 Last year was a watershed moment for the Making History Project in that I completed the work on my first NEH grant involving combat trauma. The work culminated in November when I made several oral history presentations in Chicago concerning War and Trauma. 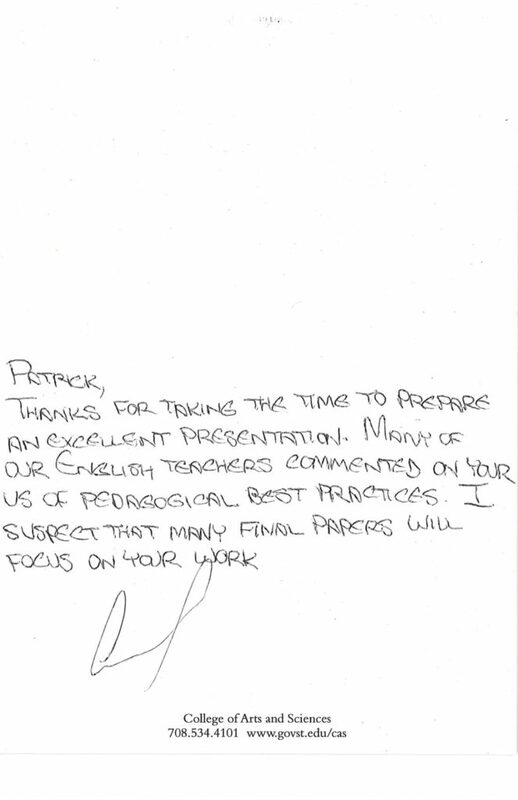 The main presentation hosted at Governor’s State University involved the co-teaching of a course with Dr. Andrae Marak. The students were deeply engaged in the topic of trauma and recognizing trauma through the lens of an oral history interview. Perhaps most fulfilling for me was the student’s acceptance of the hypothesis that combat trauma and all the adjectives that describe it, is a very destructive and debilitating force on our combat veterans. Better yet, the students admitted that such trauma demanded empathy, but yet most agreed that empathy was oddly missing for combat veterans. This brought home my point for how we have a long way to go to understand and effectively deal with combat trauma. To this I say, mission accomplished.